The East Coast of Australia is famed for its stunning coastline which stretches for thousands of kilometres from the south of the country all the way up to the northernmost tip. The strip of coastline between Byron Bay in New South Wales, and the famous Gold Coast in Queensland is home to spectacular beaches, classic surf breaks, laid-back coastal villages and mild, sunny weather year-round. It is the perfect place to spend a few days or longer exploring the coastline and quintessentially Australian towns and beaches. 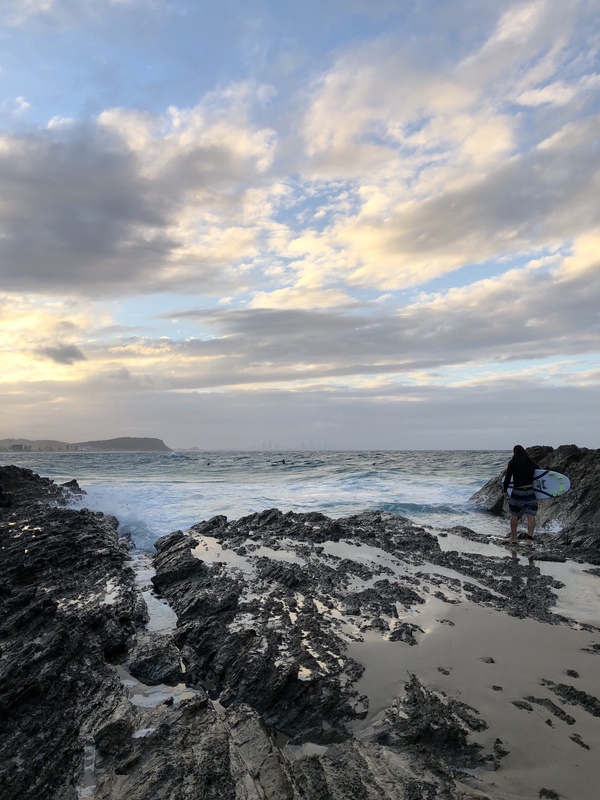 Cabarita, Kingscliff, Pottsville and Hastings Point in northern New South Wales and are all worth exploring and of course once you hit the Gold Coast strip there are beaches all the way from Coolangatta in the south to Surfers Paradise and beyond. Two of our favourites are Currumbin Alley for its natural beauty and Broadbeach for its stylish shops, restaurants and cafes. For laid-back luxury accommodation we love Halcyon House at Cabarita Beach which also is home to a great restaurant, Paper Daisy, though there is no shortage of accommodation options in the area which will suit all tastes and budgets. Ideally the best way to get around the region is by car, which will give you the flexibility of stopping wherever takes your fancy and exploring beaches and towns which are off the beaten track. Like much of Australia’s East Coast, it is a fairly a well-trodden tourist route so you are never too far from civilisation and amenities. Virgin Australia flies to both Ballina and Coolangatta which are both handy to the area, depending on where you want to start your journey. If you are in the region we also highly recommend a trip in to the hinterland and the beautiful Springbrook National Park. Heading further north? Visit one of our Queensland Dream Destinations here. Beautiful photos – really captures that pinky light I love so much!